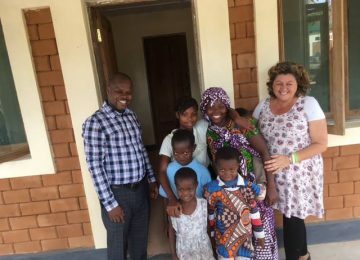 The Okalawo Children’s Village is a community within the community, where vulnerable and/ or orphaned children are placed into new families where they receive long term care in every aspect of their lives. The village was born out of the tremendous need for more permanent care and education for the children in Zambezia, who are significantly impacted by the high mortality rates related to viruses and diseases such as HIV/AIDS and malaria, which cause an increase in the trafficking of vulnerable children. The Okalawo Children’s village currently educates children from Grade 1 through to Grade 4 and our residential homes have an ever increasing number of residents. The completion of our first cluster homes will allow us to care for 48 orphaned and/or vulnerable children together with six house mothers. The village clinic is in operation and is serving all our children and their families in the surrounding communities. 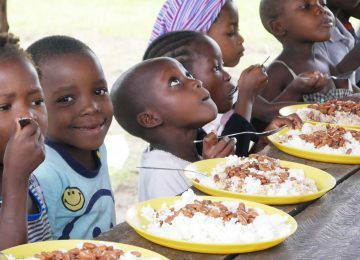 The Peace School is an extension of the local church in the community of Namuinho, where it reaches out to vulnerable and/or orphaned children. The school has a holistic approach to education and each child also receives a nutritious meal on a daily basis. We currently educate 400 children from Grade 1 to Grade 7. The school also offers skills training in agriculture and animal care as part of the curriculum, in order to broaden the students’ opportunities for future income generation, for themselves and their families. The spiritual and moral development of each child is vital for value change, laying the foundation for a brighter future. Public and school health care is very important as we invest into the overall wellbeing of each child, family and the greater community. Your participation is vital to every one of our children's lives and for a sustainable future for them. Get involved today and be part of God's work with Life Child!